The Ink Trap: Hello, Marci! Good Morning! I hope everyone had a fabulous weekend! Today I am bringing you a card featuring a new image from a line created by Irina at La-La Land Crafts. Meet Marci! She is just one of five new images that will be released on September 15th in rubber. 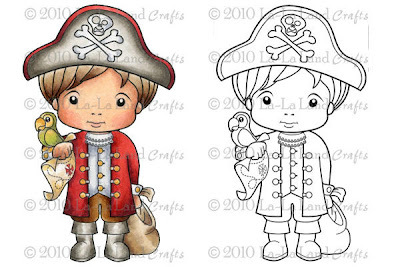 For a limited time, you can pick up Sweet Dreams Marci and Pirate Luka in digi form in the shop. Grab them while you can, because you won't want to wait ;D These images are so sweet and so much fun to color. 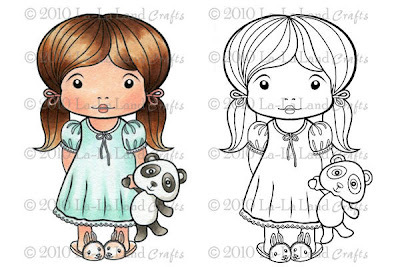 If you're looking for some great images to showcase your Copic skills, these are perfect! By the way, if you're looking for "Mom"day Monday, I am moving it to Wednesday. I know, it just doesn't have the same ring, but I will try to think up a clever title, none-the-less. I will be doing the regular Monday post over at La-La Land Crafts and felt that it might be best to move things around a bit on my blog to accommodate the Monday La-La Land posts. Speaking of the La-La Land blog, check it daily because there will be a new card featured everyday by one the DT members. Lots of inspiration! Cheryl, you have completely blew me away!!!! Thank you!!!!! Marci is such an adorable image! You did a spectacular job showcasing this little cutie!! What fun to visit your blog! I always enjoy looking at all your beautiful cards! Love, love, love the Marci's and yours is just gorgeous! WOWZERS!!! Your colouring is just incredibly beautiful, Cheryl! 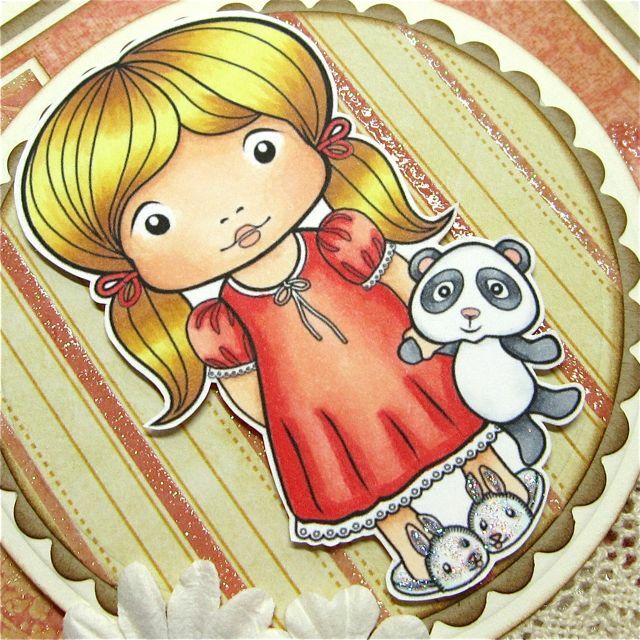 You rally seem to bring out the vibrancy of the Copics markers...I am loving this sweet Marci...she is a doll! 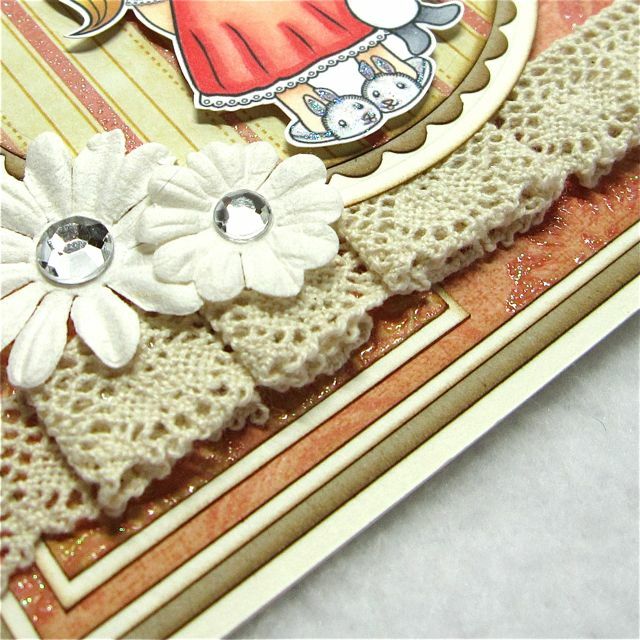 Love this sweet card, Hun! I wish I could spend a day or six learning Copic coloring, blending, and card composition from you. Super cute! Thanks for listing your blond hair Copic combo...always a struggle for me - that hair!